For decades, the citizens of New Jersey have funded the preservation of our Highlands forests. These forests were preserved for a wide range of conservation values, including the treasured water and wildlife that characterize this magnificent region of New Jersey. New Jersey Highlands Coalition believes that these forest habitats should be protected for a broad diversity of animals and plants. That is why we object to a forest stewardship plan proposed by the New Jersey State Division of Fish and Wildlife for the Sparta Mountain Wildlife Management Area, located in Sussex and Morris Counties. This 3,400 acre site lies in the heart of the Highlands' most pristine forests. The core, contiguous forests of the Highlands Preservation Area are the key sources of the Highlands’ abundant supply clean water that 70% of New Jersey depends upon. The proposed plan would harvest or log up to 715 acres, or one-fifth of the Wildlife Management Area, within the next ten years. The proposed Sparta Mountain plan would not protect older interior sections of forest that are critically important to certain species already lacking sufficient habitat. 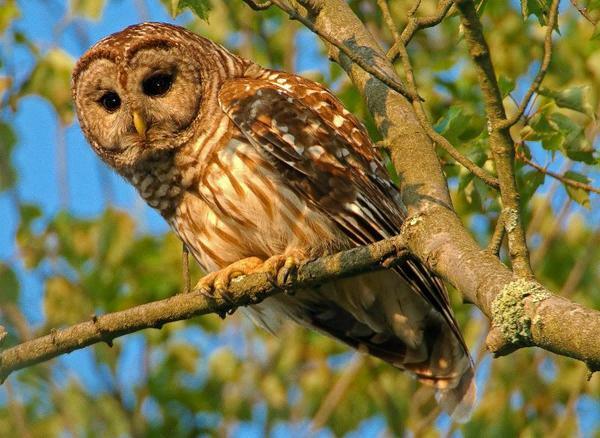 For example, the threatened Barred Owl and endangered Red-shouldered Hawk need interior forests and would be impaired by the logging at Sparta Mountain. Over the last 25 years, New Jersey citizens like you fought to keep the Highlands' forests preserved and unfragmented for their public recreational benefits, wildlife habitat and drinking water for nearly three quarters of the state's residents. Because the majority of us in New Jersey understand and appreciate these values, many important forestlands have been purchased with public and private funding. Now, native plants and animals; water; and historic, scenic and recreational resources, preserved for public use and enjoyment are at risk. Our Highlands forests need management plans based on sound ecological science and earnest public involvement. Although forestry activities if done carefully and strategically can be beneficial, they should not be primary drivers. Our public forests need comprehensive plans based upon sound science and publicly-supported conservation goals. The New Jersey Department of Environmental Protection should undertake a comprehensive planning process for all preserved public forestlands, including the water resource forests of the Highlands. Use the Take Action Tool provided by New Jersey Conservation Foundation to email the New Jersey Department of Environmental Protection and urge them to conduct comprehensive natural resource planning with broad public input, including all preserved public lands in the Highlands Region managed by the Divisions of Fish and Wildlife and Parks and Forestry. Ask the New Jersey Division of Fish and Wildlife to suspend the proposed 10-year Forest Stewardship Plan for the Sparta Mountain Wildlife Management Area until comprehensive natural resource planning is complete. Sign on to the New Jersey Highlands Coalition’s sign-on letter to NJDEP, expressing the shared concerns of the majority of environmental/conservation organizations and concerned individuals. Review the letter and current signatories here. If you would like to add your name, send an email to: julia@njhighlandscoalition.org, include your name, city, state, and zip code. Sign-ons will be accepted until 10:00am, March 28. Thank you for helping us protect the Highlands and its valuable forestlands!